Now that I face some health issues, I am committing to a healthier lifestyle. My name is Roger and I am from Ft Smith Ar. Right now I am disabled with arthritis and am about to undergo TKR's on both knees. I plan to be in as good a condition as I can before the surgeries, so that my rehab and outcome will be as good as can be. Read More About ROGERB71 - Profile Information moved here. My name is Roger and I am from Ft Smith Ar. Right now I am disabled with arthritis and am about to undergo TKR's on both knees. I plan to be in as good a condition as I can before the surgeries, so that my rehab and outcome will be as good as can be. Just stopped by to see how you were doing. Have a fantastic week. 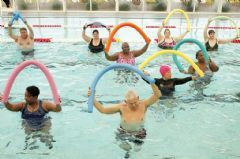 Welcome to the Water Aerobics Team! Check our forums for questions and ideas to spark your workouts, and share yours with us. Join our goal and reward yourself for your consistency. And have fun! Roger!! CONGRATULATIONS on you being smoke-free! I am so PROUD of you! WOOHOO!! Let's put the UMPH in triumph to meet our weekly goals! Put the UMPH in triumph by bringing fun and enjoyment into our journey! Put the UMPH in triumph to go out and live our lives as we have imagined it! With enough UMPH, we CAN and WILL have a WOOHOO week! U = U are Worthy! ~ U Can Do It! ~ U are a Winner! ~ U Deserve It! M = Maintain Focus on the Goal ~ Daily Commitment & Follow-Through! P = Practice Choices ~ Belief in Self ~ Inspire Yourself and Others! H = Healthy Nutrition ~ Varied Fitness Activity ~ Embrace Inner Well-Being! 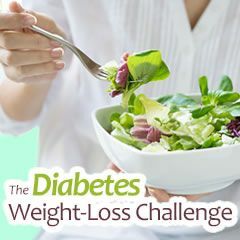 on your OUTSTANDING 50 - pounds weight-loss success! I am so PROUD of you! Keep being the WINNER that you are in all that you do! You are an INSPIRATION to us all! Have a wonderful weekend!